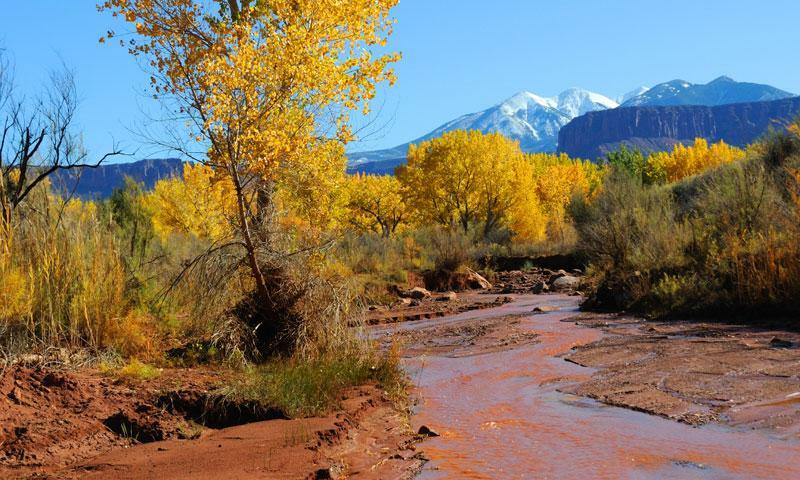 The Onion Creek Road is one of Moab, Utah's best trails for viewing beautiful scenery. The route finding is easy and the road surface is buff and wide, except while crossing streams. 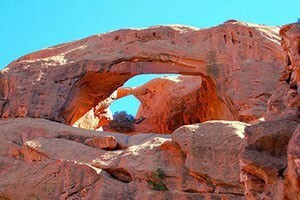 This mountain biking and 4x4 trail offers some of the most beautiful views of red rock so be sure to bring your camera. 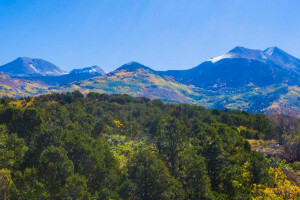 At the top, after 26 stream crossings and a continuous moderate climb, you will be rewarded with views overlooking the Fisher Valley Ranch and the La Sal mountain range. Because the road is so well maintained, running into 4WD vehicles, as well as cars and cows is a possibility. Drive north on US 191 from downtown Moab until you reach the Colorado River Bridge. Turn right onto UT 128 and drive 20 miles. At the sign that reads "Fisher Valley Ranch" immediately turn right. If you hit the "Fisher Towers Road" you have gone too far. Park on the side of the road and begin your ride up Onion Creek Road. After 10 miles, once the road begins to flatten out, turn around and ride back down.